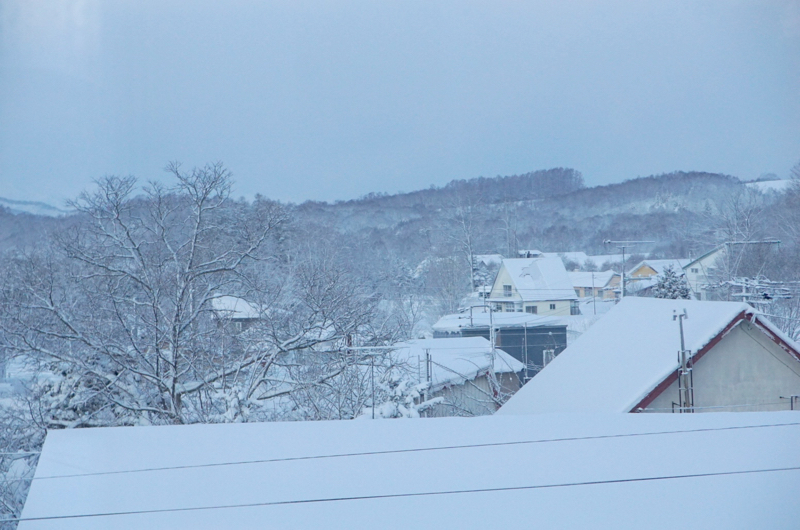 Looking for an authentic, one-of-a-kind, Niseko souvenir to take home? Pop-up shop IKIYA is coming to the lobby of SHIKI Niseko hotel this January 25th and 26th, and bringing its specialty – handcrafted Japanese giftware and accessories made with beautifully symmetrical Mizuhiki knots. Powderlife met Saori van den Brink, the artist who painstakingly crafts each piece, and learned a little about the ancient tradition that inspires her. The Mizuhiki knot is an ancient Japanese artform, with – like many things in Japan – a history stretching back over a thousand years. Thin cords made of rice paper are wound together, wrapped in coloured string and starched stiff, then used to fasten traditional gift envelopes and boxes. These cords are weaved and knotted in elaborate, symmetrical knots that both decorate the package and express the gift-giver’s wishes and relationship to the recipient. Mizuhiki knots adorn gifts whenever a present or card is given in Japan: weddings, funerals, births, hospital visits, school graduations, job promotions, the opening of a new business – every major event in life. Saori-san began working on IKIYA’s range of Mizuhiki accessories in the summer of 2017, but grew up watching her mother make the meticulous decorations. “All Mizuhiki is handmade even today,” she says. “No machines can make them yet.” People like her mother would work from home on orders from big companies. Saori-san mixes the traditional skill with modern styles, creating earrings, rings, and bookmarks that also double as hairpins. IKIYA’s pieces take Saori-san from an hour to a week to finish, depending on their complexity – the more intricate items use dozens of knots interwoven together. Saori van den Brink hand-crafts all of IKIYA’s accessories, from earrings to bookmarks. As well as her handmade Mizuhiki jewelry, Saori-san will be stocking a few handpicked handicrafts from around Japan to IKIYA: handmade “Setta” sandals from Nara, and a pair of traditional ironware teapots from Iwate – all items she’s fallen in love with and wants people to see and know. The modern Setta sandals feature a lucky carp and waterfall motif, embroidered by hand. IKIYA also places custom orders for extra large sandals to suit bigger Western feet. 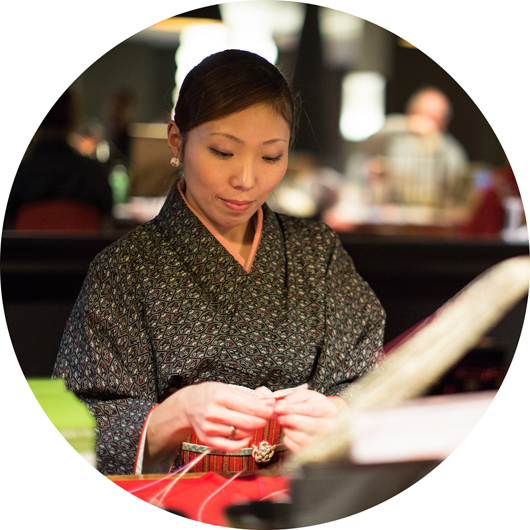 You can catch Saori-san at the Shiki Niseko lobby from 11 am – 7 pm and watch her work on new creations. Or if you’d like to try it yourself, Saori-san will be hosting a workshop on February 15th at Shiki Niseko.